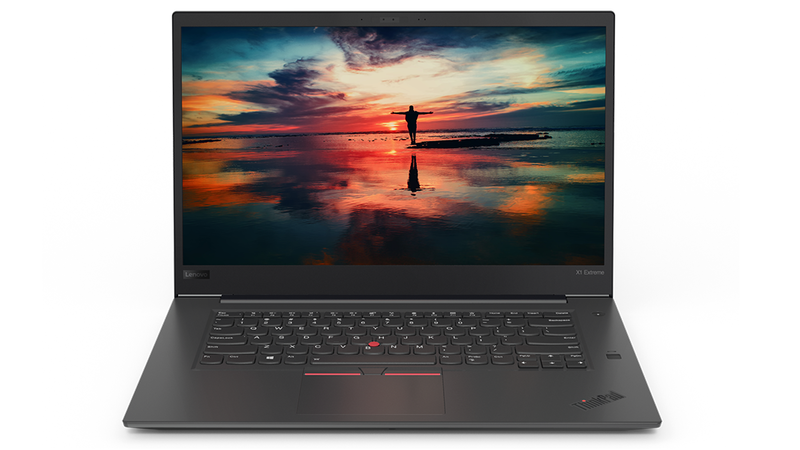 Lenovo's ThinkPad X1 Carbon has held a place in our top three ultra-portable laptops for many years, and for good reason. The ultra-sleek system looks great, offers excellent performance and is built to last, but there is a case to be made for needing a display larger than 14in. That's where the ThinkPad X1 Extreme comes into play. 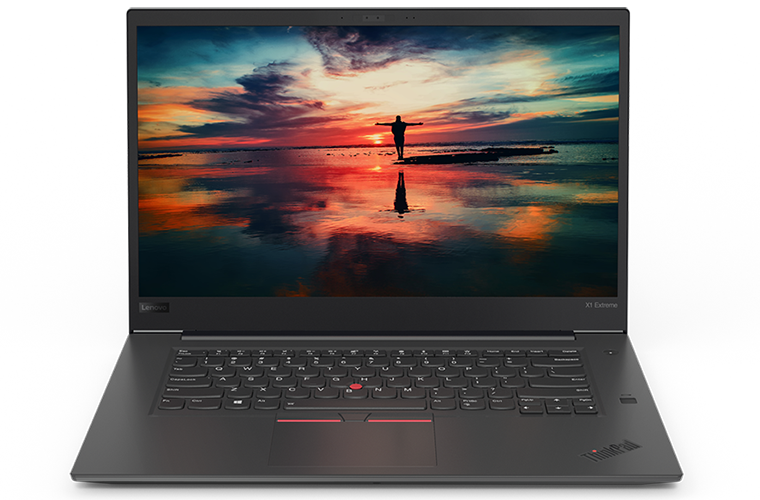 This new addition to the ThinkPad series borrows its design cues from the X1 Carbon but has grown in size to incorporate a 15.6in display. Overall dimensions have increased to 362mm x 246mm x 18.7mm, while weight has risen to 1.85kg, so although this remains a thin 15.6in machine, the X1 Extreme naturally isn't as compact nor light as the 1.15kg X1 Carbon. It's going to take more than just a bigger display to warrant the extra size and weight, and Lenovo is hoping to tempt power users by incorporating meatier components throughout, including dedicated GeForce graphics and the option of a 4K panel. Prices currently start at £1,458 for a full-HD model outfitted with a Core i5-8300H processor, 8GB of RAM and GeForce GTX 1050 Ti Max-Q graphics. All variants come equipped with the same Nvidia GPU, but most other components are upgradeable if your pockets happen to be deep. Our review sample fetches a whopping £2,365 and includes a Core i7-8750H CPU, a huge 32GB (2x16GB) of DDR4 memory, a spacious 1TB M.2 SSD and a 4K UHD display touting 100 per cent Adobe RGB colour coverage and support for Dolby Vision HDR. The spec sheet sure reads well and there's plenty to admire about Lenovo's implementation. 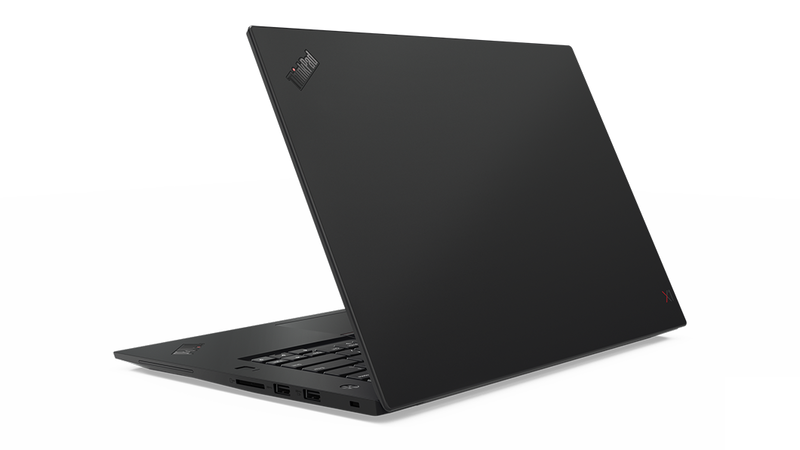 Despite the upgraded parts, the X1 Extreme still looks like a stylish business laptop, with a signature matte black finish, thin bezels, sleek profile and comprehensive three-year warranty. It isn't the thinnest system to feature a dedicated GPU, but it is suitably svelte at 18.7mm, and if you don't fancy the touchscreen, the regular full-HD model is a fraction thinner at 18.4mm. Either way, the chassis has a quality feel throughout, and as is the custom with X1 hardware, Lenovo tests against 12 military-grade requirements. We haven't had the opportunity to subject the laptop to freezing conditions or desert storms, yet we get the impression it would come through unscathed. And there's more to it than just build quality. The extra touches are what make a ThinkPad a ThinkPad, and there are plenty in evidence here. The backlit spill-proof keyboard, firstly, is among the best available on any laptop, period. It's simply a joy to type on, and though I personally never find a use for the red TrackPoint in the middle, I like the fact that it's there; it's at the very least a classic visual element and shouldn't be removed. As an owner of previous ThinkPads, I also feel right at home with the mouse buttons positioned between trackpad and keyboard. Input devices don't get much better. You expect good things at this price point, and the X1 Extreme tends to deliver. 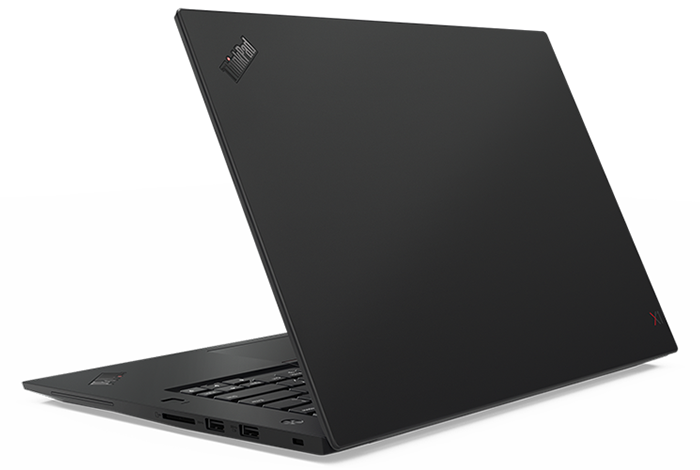 There's both a responsive fingerprint reader and IR cameras supporting Windows Hello, the integrated 80Wh rapid-charge battery is said to be good for up to 15 hours of use, and while many competing laptops limit connectivity for the sake of overall thinness, Lenovo goes all in. On the right side there are two USB 3.1 Type-A ports alongside an SD card slot. Over on the right you'll find a connector for the 135W external PSU, two Thunderbolt 3 Type-C, HDMI output, Ethernet (used via the bundled dongle) and a combination audio jack. The 4K IPS touchscreen is highly enjoyable, too. Viewing angles are excellent, brightness is dramatic, and though the glossy finish may not be to everyone's liking, it's a very good panel for multimedia use. Don't, however, be too optimistic about the HDR claims. Lenovo isn't using a true 10-bit panel, and HDR support is limited to streaming video. Still, while the display isn't able to compete with the latest TVs, 4K HDR content on Netflix still looks impressive. What are the laptop's immediate downsides, other than cost? Well, the speakers are loud but lacking in definition, and while it's nice to have components with a little extra horsepower, it inevitably results in more fan noise. The X1 Extreme is practically silent when idle and quiet during regular use, but with either the CPU or GPU hard at work, the fans spin up rapidly and become quite distracting. Whether or not that's a deal breaker is down to personal preference, but if that's about it for our list of gripes, we could be on to a winner. Let's run the benchmarks to see what else they reveal.